The Mahina Surf boasts fifty-six, oceanfront one and two bedroom condominiums situated on two intimate acres of lush tropical gardens. 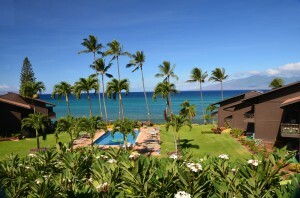 Ideally located on Maui’s leeward shore, renowned for its year round sunshine, cool tradewinds, and pristine beaches. Each Mahina Surf suite is uniquely and generously apportioned. 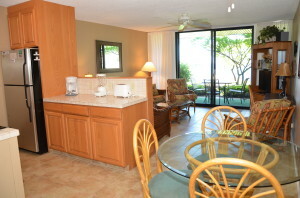 All units include living rooms, full baths and fully equipped kitchens. 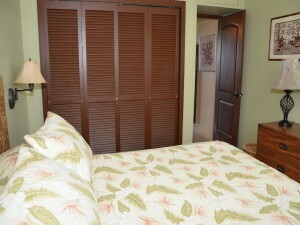 Our one-bedroom suites are ideal for couples seeking a romantic retreat, or for a family of four on a vacation getaway. Two-bedroom units comfortably accommodate as many as six adults. Regardless of the unit you choose, your expectations are sure to be exceeded. 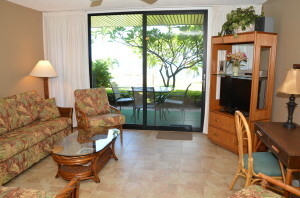 Private lanais provide relaxing, unobstructed ocean views of the neighbor islands of Molokai and Lanai. Just a few minutes ride to the north or south, the resort areas of Kapalua and Kaanapali offer world class golf, tennis, dining, shopping, and a host of beach activities. In the winter months the waters off West Maui play host to migrating humpback whales, putting on spectacular displays - many of which can be seen from your own lanai! Explore the many wonders Maui has to offer, like the famous road to Hana, or the summit of Haleakala. Stroll the tropical gardens...relax poolside and work on your tan....or fix your own intimate sunset dinner.